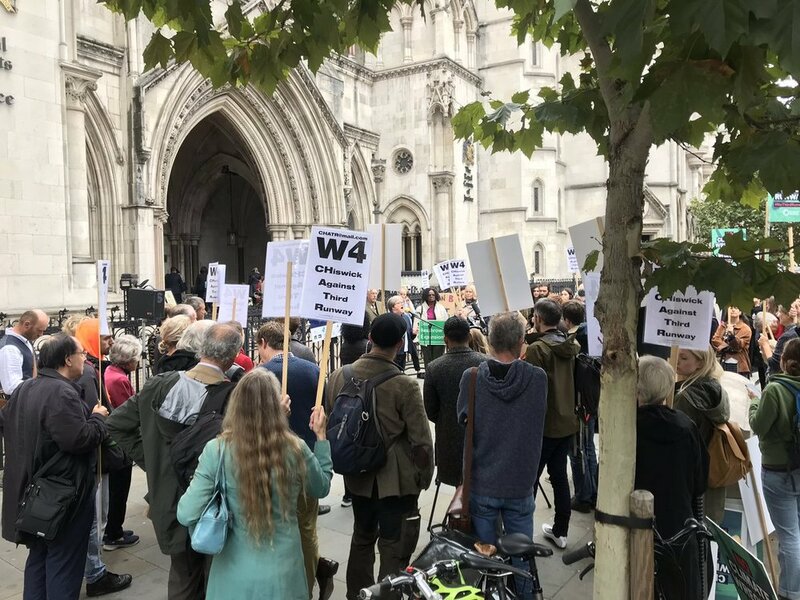 A judge gave permission today for FIVE legal challenges to the government’s plans for a third runway at Heathrow to be heard in the High Court, which is the first hurdle for a project that many see as undeliverable. The challenges will be heard in March 2019 but there is plenty of work for the lawyers to do in the meantime, honing their legal arguments into a form that should enable all five challenges to be heard in 8-10 working days. Mr Justice Holgate had suggested that the challenges be heard as a rolled-up hearing, which means that all the cases are held in one go as there is some duplication of arguments. Climate change, for example, was a common thread. None of the parties objected to this being done and much of the morning session was used to agree a way of doing this. It is likely that as the “Hillingdon Challenge”, as it was referred to even though it includes various local authorities, the Mayor of London and Greenpeace, will start proceedings at the March hearing because this has the most substantial grounds. They would lead on air quality. Climate change is one of their grounds but it was decided that Friends of the Earth and Plan B would lead on this issue. Neil Spurrier, a lawyer living under the flightpath in Twickenham, had grounds that he agreed could easily be “dovetail” with the Hillingdon challenge to reduce time and costs. Heathrow Hub Limited had grounds specific to their situation. They had issues with the process, which resulted in a more expensive and destructive third runway at Heathrow being chosen, compared with their proposal to build an extension to the existing northern runway. However, by hearing all the challenges together they could still contribute if anything from the other challenges was relevant to their case. Mr Justice Holgate was keen to have live (real-time) transcription in March, which, while expensive, could save money because a readily available transcript of the day’s comments could speed up proceedings. Cutting costs was certainly a theme in the courtroom. It later transpired that the government is employing a large and very expensive team to tackle the challenges. While the Judge was keen to pare things back, both in terms of cost but also length of documentation, he was often quick to reassure claimants and be seen to be fair. 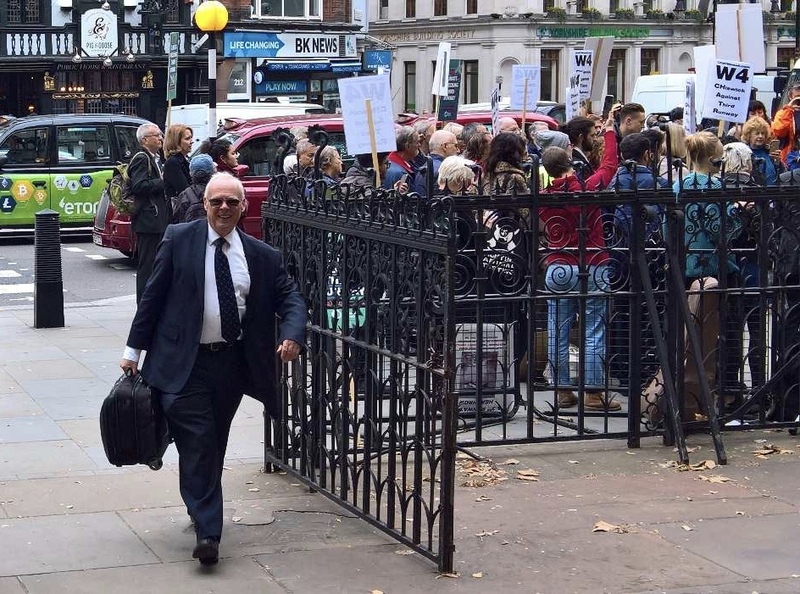 Right from the start, Mr Justice Holgate told the public, who had filled all the extra seating added to the the courtroom, that this was the biggest court in the Royal Courts of Justice complex and that for the hearing in March it would be possible to have a video link to another court for those who couldn’t get in. It had also been requested that the hearing in March have more than one judge. It was Mr Justice Holgate’s view that this was a good idea, so he said it is likely that a member of the Court of Appeal would also preside. However, he pointed out that the hearing was about questions of law and not about disagreements with a decision. It had to be argued that the decision maker had not taken something into account that they should have done. New grounds can’t be added at this stage. Should there be a pressing reason to add something else, an application would have to be made to justify it.